Top Ten Mistakes Made When Renovating A Bathroom - The Newcastle Bath Co.
Are you planning on renovating your bathroom? It’s such an exciting project to plan. So while you are madly looking online at all the endless possibilities for your new bathroom, keep in mind these few pitfalls to avoid. At The Newcastle Bath Co we want you to get the amazing renovation you are dreaming of! Poor lay out. Your bathroom if a functional space that is used daily,make sure the flow and accessibility are right. Unbalanced decor. The rule of thumb is to use only 3 materials in your bathroom to keep things from feeling over crowded and messy. Getting advice from a designer can really make a huge difference to your end product. Bad lighting. Natural light always makes a bathroom feel refreshing so always do your best to maximise natural light were you can. For lighting installation, It also pays to have a combination of lighting in your bathroom. You may want to have LED lighting to make sure your get your makeup right and dimmable lighting for when you’re relaxing in the bath. Inadequate ventilation. You don’t want to have to deal with mould issues when you get ventilation wrong. Changing your window to louvre or fixed ventilation is a great idea and there are plenty of fan ventilation systems on the market. Removing baths. Keeping at least one bath per property makes sure you appeal to to maximum buyers, should you ever want to sell. There are so many stunning free standing baths available these days. Storage. Lack of storage in a bathroom is a real pain and you end up with a mess everywhere. Think head level storage (behind a mirror), vanity (drawers are best for access) and possibly floating shelves for those little display items. Cutting corners. Think you want to do the waterproofing yourself to save some money? Baaaad idea. Many DIY attempts will cost you more in the long run (as will using cheap/unskilled tradies). Asbestos issues. Always pay to get it removed properly. Asbestos is extremely common in bathroom walls, floors and ceilings of homes built before 1984. Cheap fixtures and fittings. As with most things, you get what you pay for. Buy a super cheap tap and there’s a fair chance you’ll have a plumber back to fix it in the next few years. Unscrupulous companies. Make sure you read your contract thoroughly and understand all the inclusions and exclusions. Some companies are notorious for hiding extra costs in their fine print. Variations during the process are common. A good builder will always make clear the costs and have them signed off by the customer to keep everyone aware of design and budget changes. 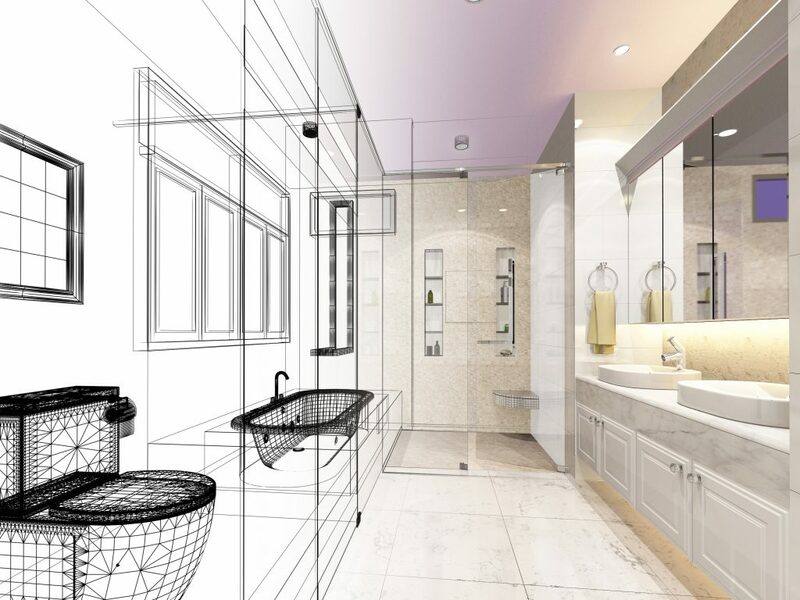 After 15 years renovating bathrooms, Chris and the team at The Newcastle bath co have plenty of experience in design and execution to help keep you from falling into any of these traps. Call us today for your obligation free quote.